We interrupt your regularly scheduled programming for this important announcement! This year I’ve written my first book. It’s coming out in North America on December 28th. 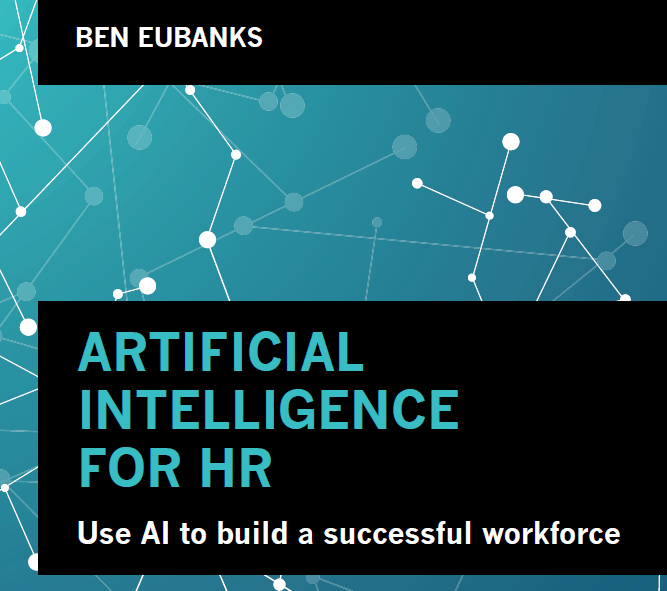 Since the publisher decided to push it to the end of the month, it’s not a Christmas present–it’s a “let’s start 2019 off with some really cool insights on HR and how technology is enabling us to create more human workplaces” present. As with all my writing, there’s a good blend of research, fun stories, and examples to make even a book on technology very interesting and actionable! To encourage you to grab a copy, I’ll be running a special promo. Anyone that buys a book in the presale period will receive a special shirt to commemorate our collective belief that HR is an essential part of the future of work. We’re working on the design right now but it will be sure to get great comments (and plenty of jealousy) from your HR friends if they don’t get in on the presale. Please note: Amazon and other sellers do not send me presale information as the author, so in order to enter the contest and get your shirt I need you to send a copy of your receipt and your preferred shirt size to ben@upstarthr.com no later than December 30th in order to participate. Shirt orders will be made on 12/30 so we may not be able to accommodate late requests. Note: If you are ordering a batch of 10 or more books for your HR team, your students, your customers, or a local HR chapter or reading club, please let me know and I can try to help with a bulk order to save you some money through the publisher directly. Questions? Drop a comment below! Thanks in advance for all of your support and I am looking forward to sharing the book with the world! This entry was posted in General and tagged Artificial Intelligence, Books, Contest, Free Resources on November 19, 2018 by Ben. I’m in the middle of writing a book. Yes, a BOOK! I’m having fun and writing a ton, but I’m also looking for a little help. See, I need some examples from vendors and employers to help me fill in a few case studies and would love to feature you in the book if you’re a fit for my requirements. If you want to be notified about the book, please make sure you subscribe for updates to the blog. The survey below is open to anyone and I would appreciate it if you would respond. This goes doubly for anyone looking to be highlighted (vendor or practitioner) in the book. Vendors: I’m looking for any HR, recruiting, talent, or learning software companies that are using machine learning, natural language processing, deep learning, etc. in their products for purposes of automation or augmentation. I need examples across the spectrum so while I know talent acquisition is going to be heavily represented (and that’s fine) I would also like to talk with those serving talent management, workforce management, learning management, and other HR audiences. Practitioners: I’m looking for companies USING these kinds of software tools. Is your recruiting tool doing automated sourcing for you? Is your workforce scheduling tool automatically offering shifts and reducing the hands-on work your team is doing? Maybe your talent management system is giving you red flags on which of your high-value workers are in danger of leaving the company? Is your learning tool recommending highly personalized content for workers based on what their peers are consuming? If you’re using a modern piece of HR technology, there’s a chance you are seeing some of these benefits. I’d love to feature you in the book whether as a small segment in a chapter, a case study, etc. Lots of opportunities to highlight the great work you’re doing as an HR leader! Click here if you are interested in participating and I will be in touch soon. Thanks so much! Why write a book about artificial intelligence in human resources? The problem is that very few of these pieces I’m seeing actually talk about solving problems. Instead they talk about theory or high-level impact, which doesn’t help you do your job any better. I’m trying to bring a highly practical perspective to the topic, which is why I’m looking for company stories and examples to weave into the content. I will have to give a basic primer on AI and how it works, but that’s just to get everyone to a basic level of understanding. The vast majority of the book content will be focusing on ACTUAL problems HR can solve across performance, learning, and recruiting. Plus it’s my chance to write a book for a traditional publisher. I’ve published a Kindle book but have not had this chance previously, so I’ll be sharing the experience and what I think about the process. Look for me to talk more about this topic as the year goes on! This entry was posted in General and tagged Artificial Intelligence, Books, Research on December 27, 2017 by Ben. Books. They’ve been around pretty much forever, and that familiarity is one reason they are not as appreciated as some other learning tools. But don’t be fooled–there’s more than meets the eye. It’s been said that reading one hour a day will make someone an international expert in their field in 5-7 years. While that exact figure may be up for debate, it’s clear that reading is a powerful activity for self-development. In this episode of We’re Only Human, I interview Zach Rubin, cofounder of PBC Guru, a company that designs and delivers book club experiences for organizations looking to create a culture of shared learning. The discussion covers what books companies most often request, how to use books for supporting social learning, and a special free offer for We’re Only Human listeners. Whether you’re a book nerd like me or not, this show is going to demonstrate that this fundamentally human activity, reading, has more value than you would have imagined. Special Offer: PBC Guru is offering to implement and manage a virtual book club with your company completely free for six months. Just visit http://pbc.guru and fill out the contact form mentioning you heard about them on the “We’re Only Human” podcast. Listen in the embedded player above or click here to listen on the hosted site. What do you think about book clubs? Do they hold value at work? Why or why not? This entry was posted in General, Podcast and tagged Books, We're Only Human on April 3, 2017 by Ben. This entry was posted in General and tagged Books, Career, Career Advice, Entry Level, entry level hr, HR Podcast, HR Skills, Learning and Development, Training, Webinar on January 23, 2017 by Ben. Today we’re going to explore the intersection of creativity, innovation, and intrapreneurship (entrepreneurial activities occurring within an organization) and how these activities bring value to the business world. I hope you enjoy! The research with entrepreneurs is especially noteworthy because it revealed the dramatic impact that this measure of innovativeness has on value creation. When those founders who scored highest on the Innovativeness Index were compared to those who scored lowest, the ventures of the high scorers averaged 34 times as much profit, 70 times as much revenue and employed 10 times as many people. They were also dramatically more likely to be one of the exceptionally high performers that investors call a “home run” (defined in this study as having achieved at least a million dollars in annual profits). Companies everywhere are trying to create more innovative atmospheres for employees. But what if the answer isn’t open office space or an office beer cooler, but a higher engagement score? Research by Gallup found that 61% of engaged employees feed off the creativity of their colleagues, compared to a mere 9% of disengaged employees. In addition, it found that 59% of engaged employees believe their job brings out their most creative ideas, compared to only 3% of disengaged employees. Finally, are you familiar with the intrapreneur? This conversation will also touch on this type of person/personality and I want to make sure we’re on the same page. Intrapreneurs are usually employees within a company who are assigned to work on a special idea or project, and they are instructed to develop the project like an entrepreneur would. Intrapreneurs usually have the resources and capabilities of the firm at their disposal. You can imagine the value of someone that takes ownership, manages a project like it was their own business, and seeks acceptable risks. But it requires a foundation of trust to make it work, and we can easily measure the value of that aspect: a recent Watson Wyatt study showed that high trust companies outperform low trust companies by nearly 300%! All of these data points just go to show that creativity and innovation are incredibly valuable. The problem is that many companies are not at all prepared to manage people that fit the creative profile. Even those that say they want a workforce full of ideas and innovation usually back away once they realize the effort it takes. At the same time, you saw some of the research that shows the value of innovation in the workplace. While it might take some work, hiring these kinds of people can also provide amazing benefits for companies that are willing to commit. 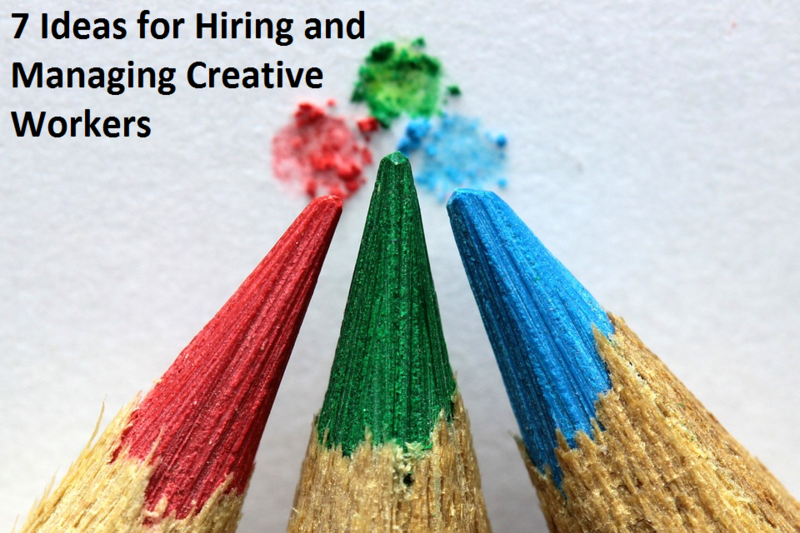 Throughout this article we’re going to explore seven opportunities to help with hiring and managing creative people. Recruiting, engaging, and retaining entrepreneurial employees depends in large part on a manager’s ability to discuss and facilitate career development. However, recruiters, managers, and executives are often poorly-equipped to lead these conversations. Toby Murdock, the founder and CEO of Boulder-based content marketing company Kapost, set out to fix that. 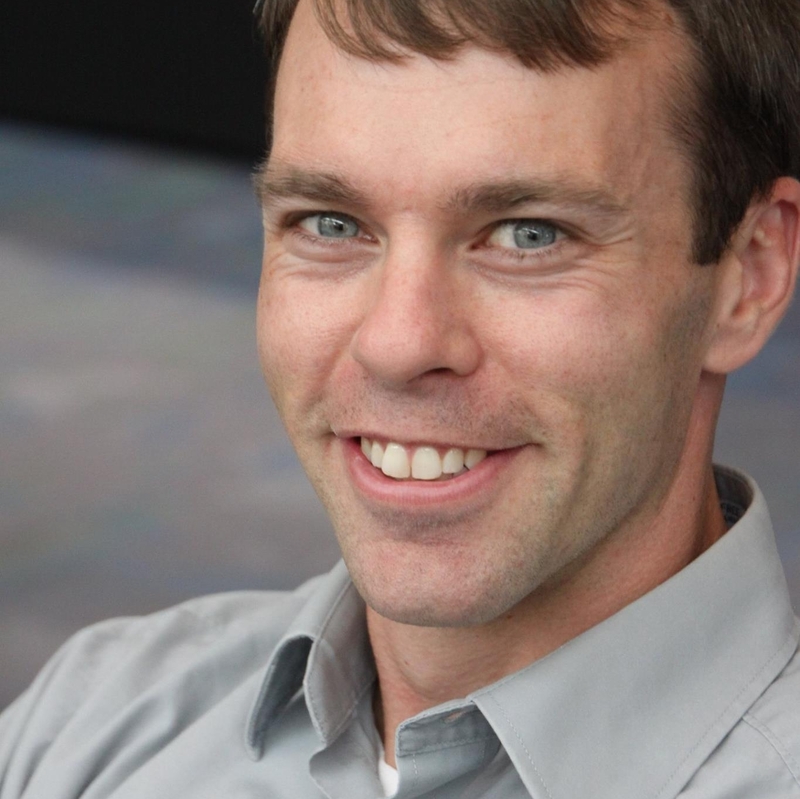 His goal: to make his company the best place in Colorado to launch and accelerate a career in high tech. Thanks to a compelling employee value proposition around career transformation, Toby has successfully recruited entrepreneurial employees into the company who might have otherwise been out of reach. Consider that. Instead of being afraid of the turnover of losing those entrepreneurial employees a few years down the road, the CEO of Kapost decided to embrace it and reap the benefits of having those people working under his direction. Research shows that 70% of entrepreneurs left the corporate world because they were too confined. I know that’s the case for me. Creative tension can either be painful and stressful on both parties, or it can be harnessed to develop innovative solutions to problems both small and large. Innovation matters. An Accenture study of 500 US, UK, and French companies showed that 70% of executives considered innovation to be among the top five strategic priorities, and 67% said they are highly dependent on innovation for long-term success. However, less than one in five said they had realized a competitive advantage from their innovation strategies because they were too risk averse to take advantage of the potential opportunities. Hint: this is a problem, and it doesn’t exist solely in enterprise organizations. I’m currently reading IGNITE: Setting Your Organization’s Culture on Fire with Innovation by Moss and Neff. It’s really good and full of stats and stories about how the authors have used and seen innovation in practice. One of the sections talks about how to hire intrapreneurial employees, and the authors encourage seeking “wanderers,” or people that are more likely to be curious, in the hiring process. The example the authors give is asking about a recent conference a candidate attended. Was it an assignment, or did the person request to attend? What session was their favorite? What takeaways or pieces of information did they collect? How have they implemented it at work? In another book (yes, you know I’m a book nerd) about the history of Chick-Fil-A, the founder Truett Cathy talks about the company’s approach to hiring store Operators. He says that the company would rather restrain mustangs than kick mules, or he’d rather have to pull back on the reins of someone that is going too fast than try to push someone that is going too slow. Encourage people to take risks and act like entrepreneurs internally. Chick-Fil-A's motto? "We'd rather restrain mustangs than kick mules." Back in 2009 when I helped to start the HRevolution movement, this “wandering” mentality is what drove us to do so. The event appeals to people that want something more than a “sit in the back of the room and play on your phone” type of conference. People come expecting to contribute, share, and explore ideas collaboratively. And for those that take advantage of it, the value is immense. One of the other hallmarks of an entrepreneurial employee is being able to see the big picture. Instead of being aware only of the minute fraction of the business that the person touches day to day, the mindset of one of these individuals can see how the job affects people both up and down the line. In the interview, the authors of IGNITE recommended offering someone a whiteboard to explain an idea or explore a complex process. They posit that the more creative individuals will be able to accomplish the task. Why wasn’t this done correctly? How long until things get better? How can I make sure this is done correctly? In the interview, ask the person some questions around the QBQ mindset. Present them with a problem and then ask for some QBQ-like questions that show that they are able to see the big picture and can understand how to impact results positively. Of course, not all conformity is bad. But to be successful and evolve, organizations need to strike a balance between adherence to the formal and informal rules that provide necessary structure and the freedom that helps employees do their best work. The pendulum has swung too far in the direction of conformity. In another recent survey I conducted, involving more than 1,000 employees in a variety of industries, less than 10% said they worked in companies that regularly encourage nonconformity. That’s not surprising: For decades the principles of scientific management have prevailed. Leaders have been overly focused on designing efficient processes and getting employees to follow them. Now they need to think about when conformity hurts their business and allow — even promote — what I call constructive nonconformity: behavior that deviates from organizational norms, others’ actions, or common expectations, to the benefit of the organization. To illustrate a behavior or choice that falls outside common expectations, let’s examine a story from Southwest Airlines. A few years ago a very junior employee was working as a gate agent when a flight was rerouted due to weather, stranding the passengers who were almost to their final destination. The common response was to apologize and hold out until the next day, hoping for better weather. Instead, she chartered three buses to take the people home, getting them to their destination in just a few hours. Herb Kelleher, then-CEO of Southwest, brought her to the headquarters to meet with him. Instead of chastising her for not following protocol, Kelleher praised her quick thinking and dedication to doing the right thing by the customers. That kind of praise not only rewards the employee, but demonstrates to others what kinds of behaviors are expected as well. One of the simple ways to take advantage of what these employees have to offer is to let them contribute, share, and vote on ideas. I’ve talked in the past about the “Big Ideas Database” that we used at a former employer to allow employee-generated contributions to challenge the status quo and offer opportunities for innovation. We used a simple Sharepoint site to facilitate the process, approvals, and workflow, but there are also tools in the HR technology marketplace that can help to make this sort of process a reality. If you want to check one out, why not start with Tembostatus or Waggl. Anyone can contribute ideas, share, vote, comment, etc. Whatever the method, the value is in leveraging employee ideas for innovation. Check out this video for an example of how this kind of employee-driven innovation can benefit an organization’s revenue, customer satisfaction, and more. While not every idea that comes in will be valuable, you need to truly make an effort to accept some of them. I’ve been faced with this at several of my previous employers. I was born with an eye for problem solving–I can’t turn that off. And I can think specifically of instances at two previous employers where I had heard a “no” one too many times and that facilitated my change of employment. The crazy part is that during the recruiting process, those companies recognized and appreciated those kinds of thoughts. They told me that they wanted suggestions, ideas, and contributions. However, once I was “inside the fence” and employed with them, it was a different story. When I speak I often tell about the employer that failed just a few months after I left. One of the last conversations with my manager was a list of ideas about how we could fix the 40+% turnover problem that was draining our budget faster than we could survive, and the response was “get back to work processing those new hires and terminations.” Ouch. As far as how many ideas you need to implement, that’s where it can be a bit fuzzy. I saw an article recently about a large telecommunications company that received more than 10,000 employee ideas and had implemented less than 100. I don’t have a benchmark to know if that’s good or bad, but for those other 9,900 ideas, you need to be sure that those people feel like their contribution mattered. What about high innovators or high creatives? Consider this analogy of tire pressure equalization. A tire works because it captures air and builds pressure, allowing it to hold its shape and move a vehicle around (a high value activity). Those creative people in your organization are the high pressure air inside that make the value possible. Treating all employees the same is like putting a hole in the tire. Eventually all the high pressure air leaks out (employee turnover), and low pressure leaks in (hiring for conformity, not creativity), until you have something that doesn’t offer value. That’s how companies achieve mediocrity every day. If you’re interested in being a mediocre HR leader at a mediocre company with a mediocre track record, make sure you treat all employees the same, regardless of their contributions. Back to those companies that I worked for previously, that was why both of them will never be truly exceptional. All employees were treated the same by the company’s owners, which led the creative, valuable people to leave. Those that didn’t do extra work, look for ways to contribute beyond their job titles, and seek opportunities to grow the business? They stuck around. Ouch. How does your organization encourage and support creative employees? What value do you see this population bringing to your business? This entry was posted in General and tagged Big Picture, Book Review, Books, creativity, Employee Engagement, Engagement, Innovation, Trust on November 28, 2016 by Ben. Wow. We have known for a while that classroom training was losing its luster compared to social, video, mobile, and other informal delivery methods. However, this is a stern indictment of the most commonly used method of training, with 40% of companies using classroom-based instructor led training (ILT) more than half the time. Making decisions isn’t a limitless activity. We have a finite amount of willpower and every small decision we make chips away at that reserve. In the book, Switch: How to Change Things When Change is Hard by Chip and Dan Heath, the authors examine the metaphor of the elephant and rider. The elephant (our subconscious) makes many small underlying decisions in our daily work and life. The rider (our conscious brain) makes larger, more complex decisions, but it has a limited amount of power to guide the elephant when tired, overtaxed, etc. That applies in the context of our work, where we make hundreds of decisions every day. In other words, when you have that golden hour of focus and intensity in your workday, use it for critical thinking and other thought-heavy tasks, not for responding to emails, making phone calls, or chatting with coworkers. Then fit in those more routine/mundane tasks when needed. All too often we waste that precious time doing things that require little brainpower but ultimately leave us unprepared to handle strenuous mental work. I recently read that more workers are opting to work from home as a way to avoid distractions and focus more intently on projects. Always seen as a nuisance, we now realize that interruptions of any kind have a more profound impact on work than previously believed. This experiment shows that it’s not just time that is affected by distractions, but overall work quality as well. What does this have to do with learning? Pretty much everything. Brandon Hall Group’s principal learning analyst, David Wentworth, recently shared some amazing insights into how companies are transforming the classroom environment to be less traditional and more interactive. The way we structure our classes, for the most part, hasn’t changed over the years. But there are now phenomenal examples of companies pursuing more interactive methods of training, whether blended with the classroom approach or entirely separate. Like it or not, the most effective method for training, according to those organizations we surveyed, is still classroom-based ILT. But that doesn’t mean it has to stay the same as it was 10 years ago. Don’t put people in a lecture for three hours and expect them to be attentive, alert, and engaged. Break up the session with discussions, opportunities for application, peer interactions, etc. This helps to ensure the content not only sticks, but has some real-world examples to make it more concrete. What we see is more powerful than any other sense. Expecting people to multitask and read your slides while you talk is going to limit the effectiveness by forcing learners to split attention among your words and your text. In fact, John Medina, author of Brain Rules, suggests tossing your text-laden PowerPoint slides in favor of image-based ones that support your topics without overshadowing them. Studies show that we have an amazing capability to remember imagery, but only a mediocre recall rate for text. I’m not sure that I will be ready to throw away my beloved slides anytime soon, but these ideas have given me something to consider next time I’m putting together a deck for a presentation. What are your thoughts on how our brains are wired for learning? Is the classroom giving us the results we need, or is something more needed to improve the retention and value of existing training. This entry was posted in General and tagged Books, Learning and Development, Training on October 26, 2015 by Ben.